Yesterday we did only 2 dives in the morning at El Boiler because the swell was quite high. But it was so worth being in the waves for this time!! As we descended we encountered clear water at 24 degrees Celsius and a moderate current coming from the south-east. 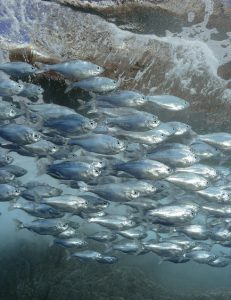 We had hundreds of different types of Jacks taking advantage of the current to hunt the smaller Creolfish. It was a great spectacle at El Boiler!! Especially as a dolphin and its young joined the fun and started chasing around the Jacks seemingly just for fun! After 5 minutes the mum and kid reunited swimming together belly to belly away into the blue; they looked just like they were having a little chuckle after scaring the Jacks. We decided to follow the current for a bit and see what is on the lee side of El Boiler. 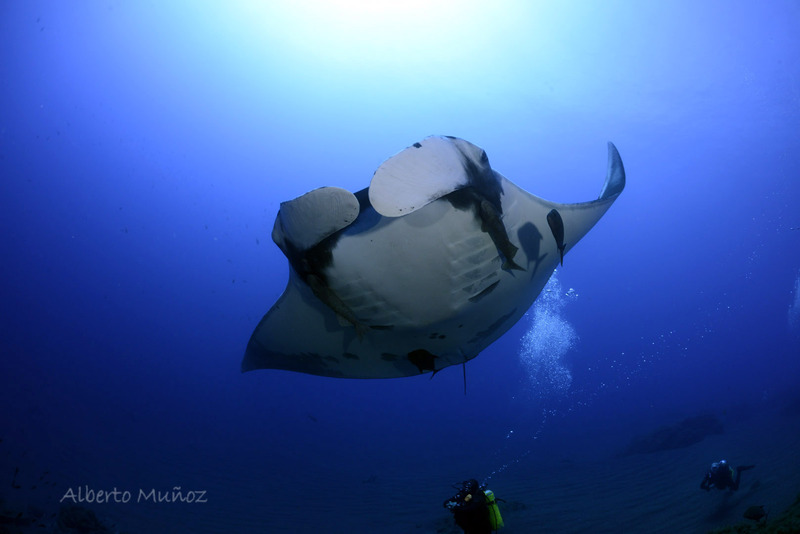 We were lucky to arrive there as a large female chevron manta was being cleaned by the Clarionfish. 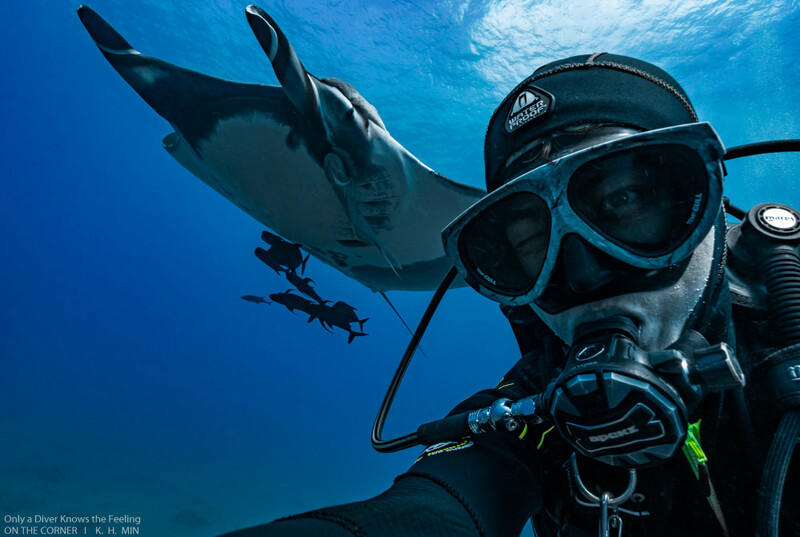 The friendly manta then stayed with us until the safety stop swimming up to each diver and holding itself still in front of all the cameras or swimming on top of us enjoying a bubble bath. As we reached the surface we were greeted by curious Boobie birds sitting in the waves and poking their heads in the water to see who was coming up. The animals here at Benedicto island are really one of a kind with their friendliness and curiosity so little scared of the humans invading their environment. We are very lucky to be here and share these special encounters together. 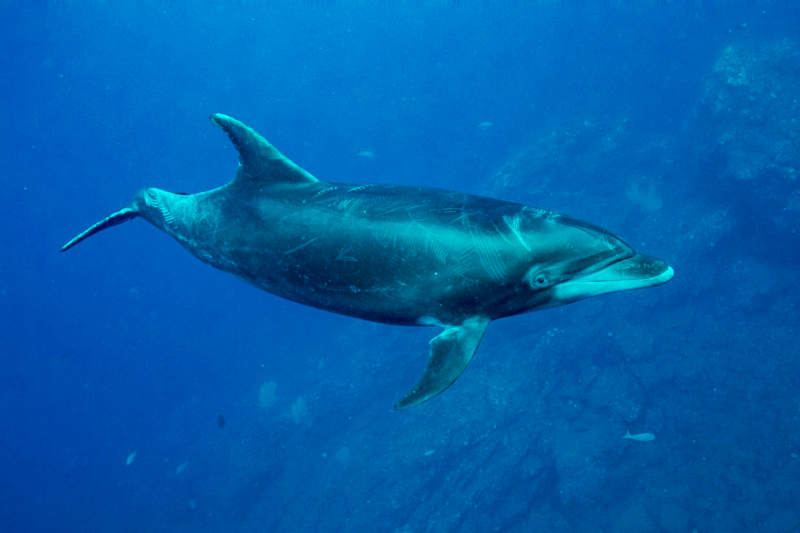 We had a wonderful dive today at El Boiler (San Benedicto Island) with dolphins for over 30 minutes. 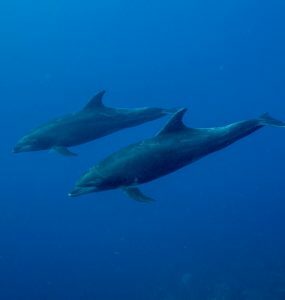 A couple of weeks ago I learned about their hunting strategy which I was able to testimony as they chase the Big Eyes Jack with their sonar and stress them until they throw up their food, and them the dolphins can catch a bite! After swiming with them for over 4 years now, there is always something new and special to see here at the Archipelago Revillagigedo! This was such an amazing trip, specially by having the company of some old friends Matt and Anne-Marie who had been with us on the Nautilus Belle Amie 3 years ago and shared their Manta love with us. 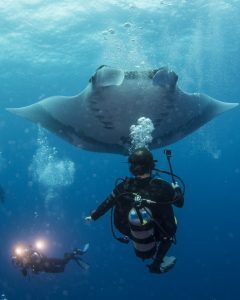 They have been studying the Manta Rays from the Maldives for over 30 years and have loads of interesting facts to make our trip one of a lifetime! 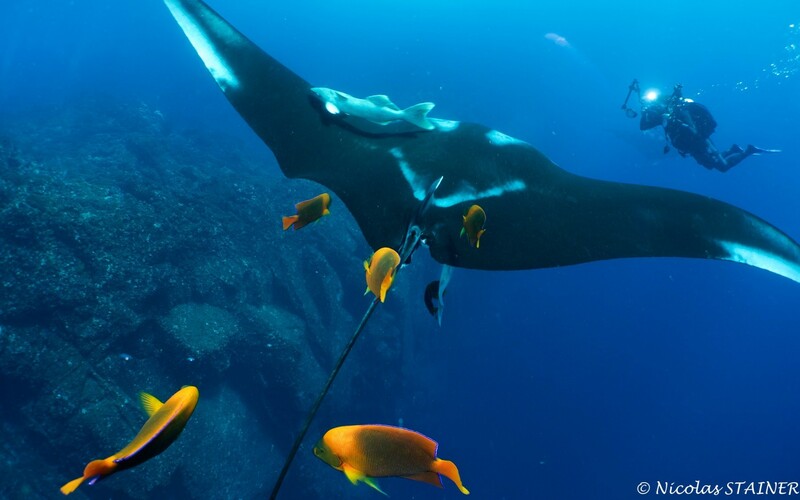 The Manta encounters were uncountable and all divers had at least one amazing interaction with those animals.